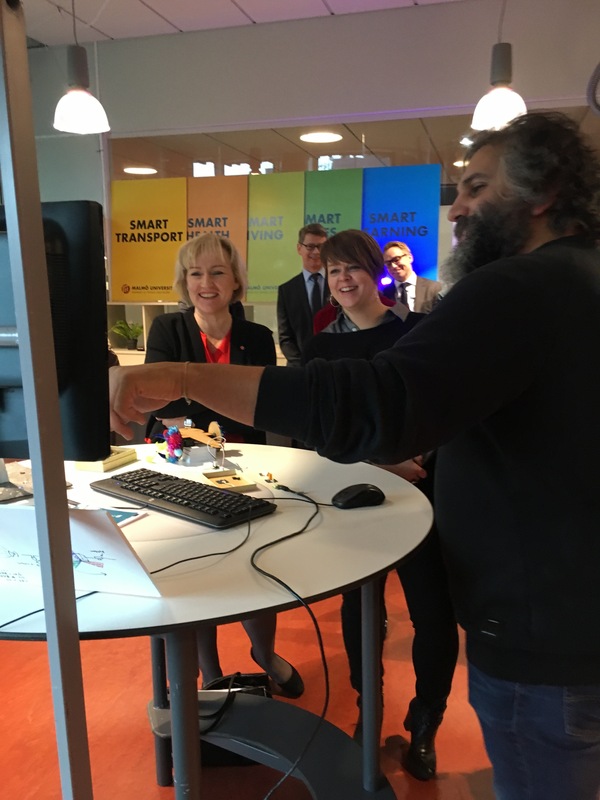 Helene Hellmark Knutsson, Minister of Higher Education and Research, visited Malmö University together with the chairman of Malmö City Council, Katrin Stjernfeldt Jammeh and Vice Chancellor of Malmö University, Kerstin Tham. In the IOTAP research lab, they learned how researchers are working on Internet of Things. They also had an opportunity to learn more about the Pelars platform, which was demonstrated by PhD student David Cuartielles. The Pelars platform can be used to study how teachers understand how students learn math and technology. » This is part of a longer text (in Swedish) by Charlotte Orban.